Katie and Olivia are UBC’s 2018 National Champions in Synchronized Swimming and won gold at the Canadian Synchronized Swimming University League. Katie and Olivia are elite synchronized swimmers in the UBC Thunderbirds Synchronized Swimming Sport Club. It can be intimidating and difficult to find a sense of community within UBC and its’ thousands of students with varying schedules. 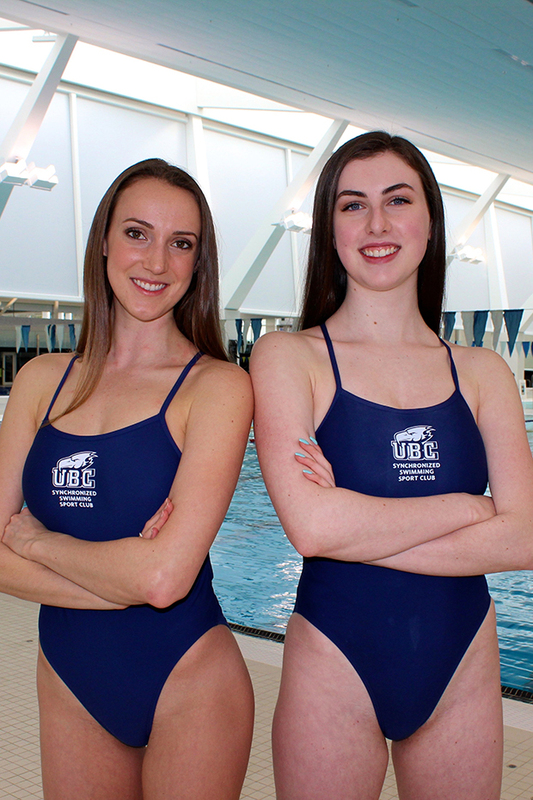 Joining a UBC Thunderbirds Sport Club has changed the student experience for both Katie and Olivia because they have been able to find a group of supportive and like-minded people who love synchronized swimming. UBC Thunderbirds Sport Clubs provide the opportunity to build lasting friendships while pursuing athletic goals. The UBC Thunderbirds Sport Clubs (UBC TSC) is a competitive club sport program that features eleven sports, and over 300 student athletes. The clubs are student-led and compete in non-CIS/NAIA level competition across Canada and the United States, some even going as far as Europe. These clubs receive funding from the University for coaching, participating in Nationals, and competitive enhancements. Joining a UBC Thunderbirds Sport Club has significantly enhanced Olivia and Katie’s experience at UBC because they are able to train and compete at an elite level while studying full-time in a supportive environment.